In my work with patients across the world, I can´t help but notice how many come to psychiatric clinics as a result of domestic violence. Despite its prevalence in other countries, domestic violence is also quite common in the United States. In the United States alone, 22 percent of women are physically assaulted by an intimate partner during their lifetimes and over 5 million are victims every year. Domestic violence touches all elements of society regardless of age, race, or socioeconomic status. As a child psychiatrist, I can´t help but think of the smallest victims of domestic violence as I often see them in my clinical work. These are the children who are either involved secondarily by witnessing the abuse or become victims directly themselves. The effects of domestic violence on this population are far ranging and long lasting. As these children develop, they may struggle to deal with conflict. They may also become aggressive or experience severe depression, nightmares and other symptoms of post-traumatic stress, as well as other anxieties or fears. The effects of domestic violence on children are dependent on the nature and severity of the abuse and on the developmental level of the child. Young babies and infants cannot understand why violence occurs in the home and so violence in this population can cause deep-seated changes in personality, self-esteem, and ways of interacting with others that can last for a lifetime. Often older children have a better understanding of what is going on, but still often blame themselves for the abuse and can have excessive guilt or anger as a result. Domestic violence does not need to be only physical to qualify as a form of abuse. Abuse can also take the form of emotional, financial, or sexual control or disregard. Initially, characteristics of an abusive relationship can often be endearing such as wanting to be with you all of the time. Over time, this can become intense jealousy for no reason, excessive control over relationships and behaviors, and aggression or violence. 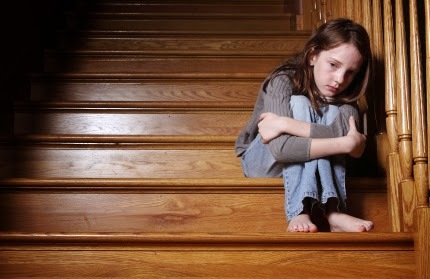 Options for milder forms of emotional abuse can include family and/or individual therapy. For severe cases, there may be a need to get out of the situation or to a safe house. For more information on domestic violence, please see the American Pyschiatric Association's brochure Let´s Talk Facts About Domestic Violence. Is a psychiatrist or psychologist required by law to report domestic violence to authorities if told by a patient that he or she is a victim or perpetrator of it in confidence? Thank you for your question. No, a psychiatrist or psychologist is not obligated to report domestic violence perpetrated against a competent adult. While their job is to try and assure that the abused person is safe, reporting the abuse to the authorities may make things even more dangerous for the victim and not safer. How to handle the situation would be up to the victim. The mental health professional's job is to support that victim with emotional support, resources, and options. Often, even in severe cases, the victim wants to take no steps to leave for various reasons that are often financial, emotional, relational, or due to lack of housing. In this case, the psychiatrist or psychologist will help process how the abuse is affecting the victim’s life currently, examine how it is affecting current relationships, and how it relates to previous relationships. Through such a discourse and with other resources/plans in place, the victim may come to the idea that they would like to take action. In this case, the mental health professional will support the victim in these steps (such as leaving, getting therapy for mild cases, etc.). For cases of abuse involving children or incompetent adults (often the elderly or intellectually disabled), mental health professionals are obligated by law to report the abuse of children or dependent adults to Child or Adult Protective Services. This is because these individuals are unable to defend themselves or due to lack of resources are unable to leave a bad situation on their own. These agencies and services often provide support to perpetrators and caretakers (if they can be remediated), would investigate the abuse, and then create a plan to prevent/deal with it. Thank you for including "disregard" in your description, it's the first time I've ever seen it mentioned anywhere and has finally given me some degree of validation, at least once! I'm curious, how common is this particular problem? I lived through 14 years of marital insignificance, but was too ashamed to even broach the subject with anyone at the time; I basically lost my gender identity and became completely "asexual", for lack of a better word. I barely escaped with my life 5 years ago, but putting the pieces of my lost self is a slow process. I hope this form of abuse gets more attention in professional circles, I can't be the only woman whose husband preferred his own company to hers.